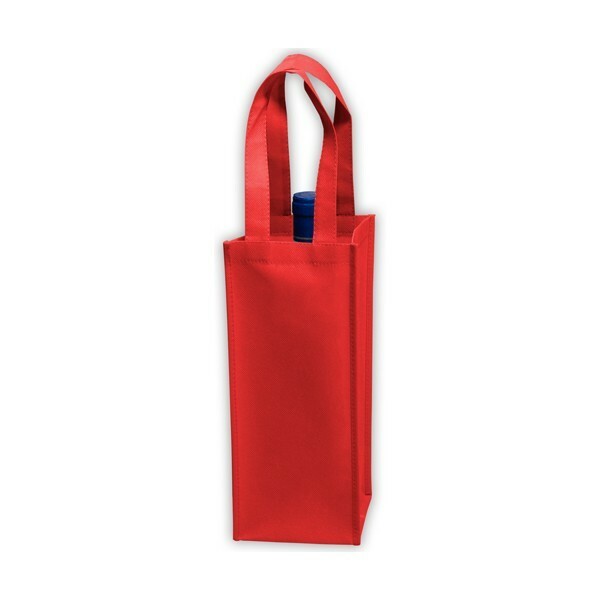 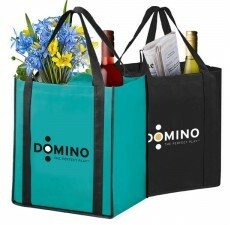 This single bottle promotional wine tote is the perfect carrying bag for a single bottle of wine. 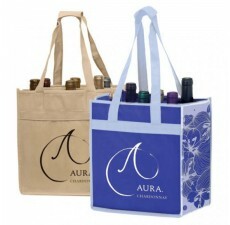 The entire look and color is customizable to fit your needs. 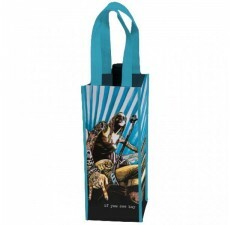 Each bag is machine washable and reusable made from recycled materials. It doesn’t necessarily need to hold a bottle of wine, use it to transport a fragile bottle gift, such as olive oil or a craft beer. 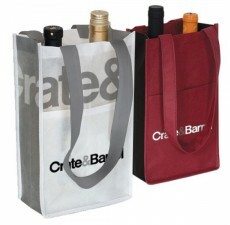 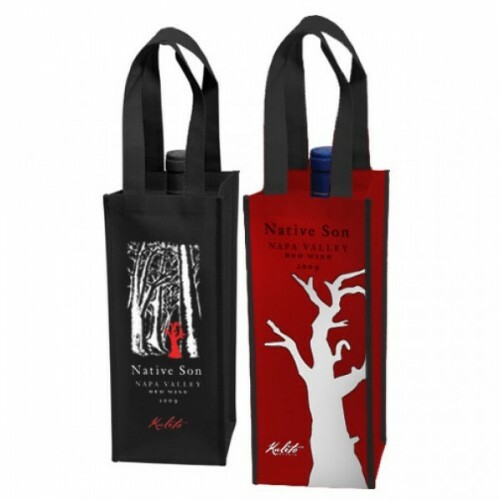 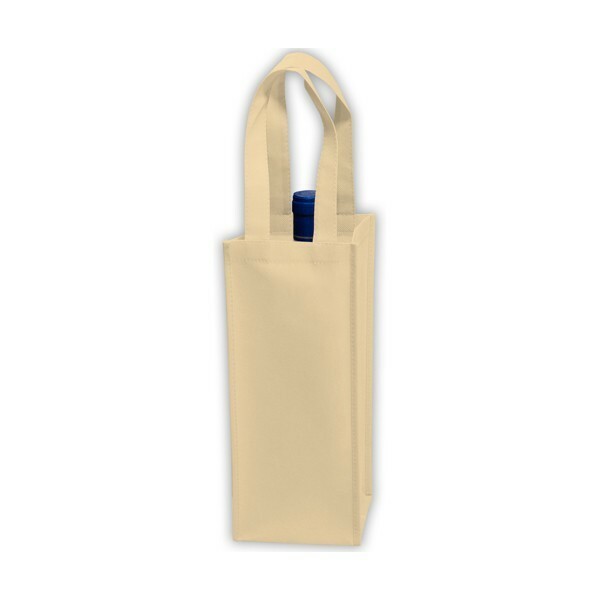 Learn more about the other promotional wine totes available at Custom Grocery Bags.